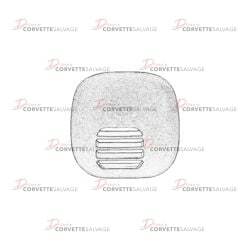 This part is a good, used C5 Air Temperature Sensor Grille which can be installed on a 1997 to 2004 Corvette. 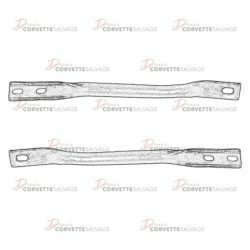 This part is a good, used C4 Rear Leaf Spring Bracket which can be installed on a 1984 to 1996 Corvette. 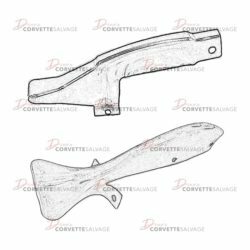 This part is a good, used C4 Dash Trim Plate which can be installed on a 1990 to 1996 Corvette. 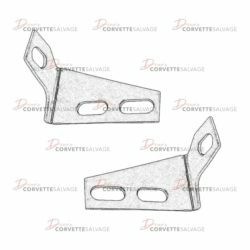 This part is a good, used C4 Skid Plate Support Bracket which can be installed on a 1990 to 1996 Corvette. 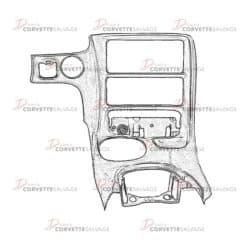 This part is a new, reproduction C5 Center Console & Radio Bezel which can be installed on a 1997 to 2004 Corvette. 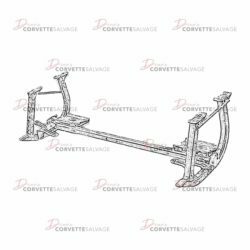 This part is a good, used C4 Front Bumper Impact Bar Skid Plate which can be installed on a 1984 to 1996 Corvette. 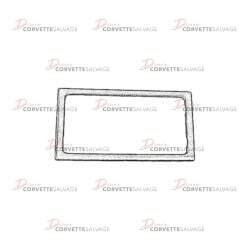 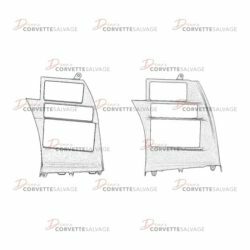 This part is a good, used C4 Instrument Panel Fuse Block Cover and Bezel Assembly which can be installed in a 1990 to 1996 Corvette. 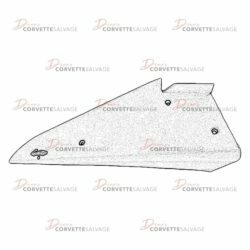 This part is a good, used C4 Hood Latch Plate Assembly which can be installed on a 1984 to 1996 Corvette. 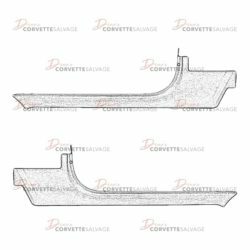 This part is a good, used C4 Front Bumper Retainer Reinforcement Plate which can be installed on a 1991 to 1996 Corvette. 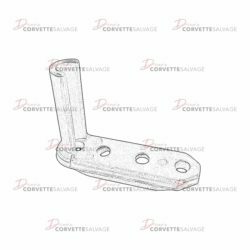 This part is a good, used C4 Front Impact Bar Skid Plate Extension which can be installed on a 1984 to 1990 Corvette. 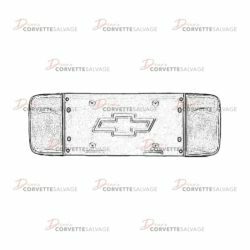 This part is a good, used C5 Rear License Plate Pocket with Back Up Light which can be installed on a 1997 to 2004 Corvette. 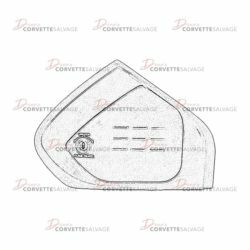 This part is a new, reproduction C5 Ash Tray Door which can be installed on a 1997 to 2004 Corvette. 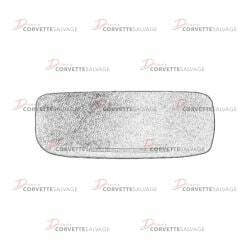 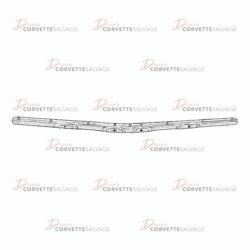 This is a good, used C5 Door Sill Trim which can be installed on a 1997 to 2004 Corvette. 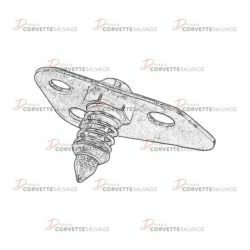 This is a good, used C4 Instrument Panel Accessory Trim Plate which can be installed in a 1990 to 1996 Corvette. 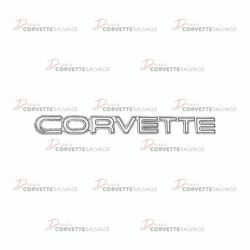 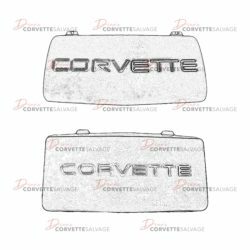 This part is a good, used C4 Rear Bumper Cover Name Plate which can be installed on a 1984 to 1990 Corvette.